Autobus Oberbayern is a specialist for passenger transport and travel logistics. "There is no such thing as can’t"
Autobus Oberbayern is one of the biggest coach hire companies in Germany. Our 750 dedicated employees work every day to provide efficient, safe and reliable passenger transport services. We are operating more than 280 vehicles for scheduled bus services, coach hire and special travel services. We provide mobility services on the highest level to our customers and thereby perpetuate the successful history of our company, which has lasted for more than 100 years. Our employees are the driving force of our business. We all work together for the success of the Autobus Oberbayern Company and for the benefit of our customers. Take a look at our job vacancies and do not hesitate to send us your application. We look forward to meeting you! Without our dedicated employees, we would nicely get stuck on the road. 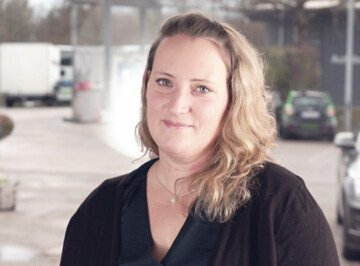 It is our staff that makes our company a leading partner for passenger transport in South Germany..
We will gladly help you, if you have any questions. Give us a call or write us an email. We look forward to receiving your message!